The Paver Savers will bring new life to the patios, walks and walls in your landscape. We are the experts in hardscape restoration. From a full restoration to a quick cleaning, we have a service to fit your needs. Our mission is to have you spend more time enjoying your yard! Repair pavers, brick, and natural stone to look like they were just installed. Prevent erosion, inhibit weed growth, and resist insects with new joint sand. Deep cleaning will remove dirt, stains and brighten the surface before sealing. Seal your pavers to add a protective finish on your newly restored hardscape. From the moment you speak with one of our certified specialists, you’ll understand our commitment to you. 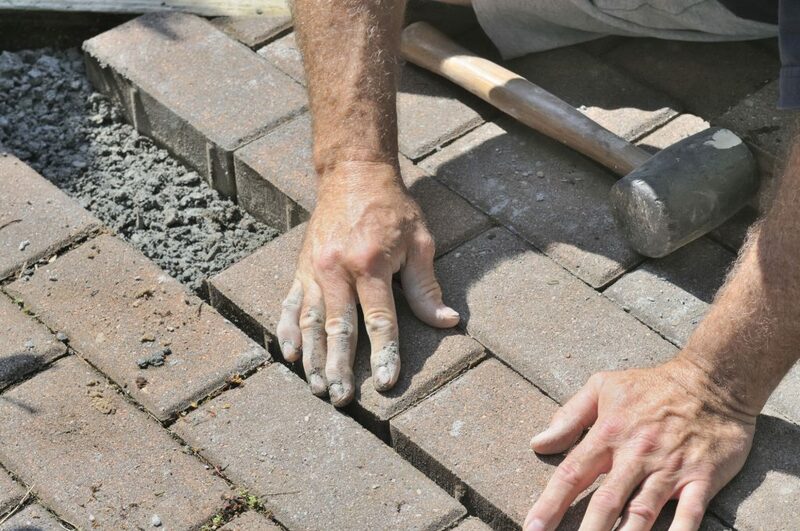 At The Paver Savers, we are known for our outstanding service and guaranteed results. After your FREE CONSULTATION, we will recommend the appropriate service option. If the pavers are relatively new, in good shape and don’t require any repairs, cleaning and sealing is a simple two-step process. 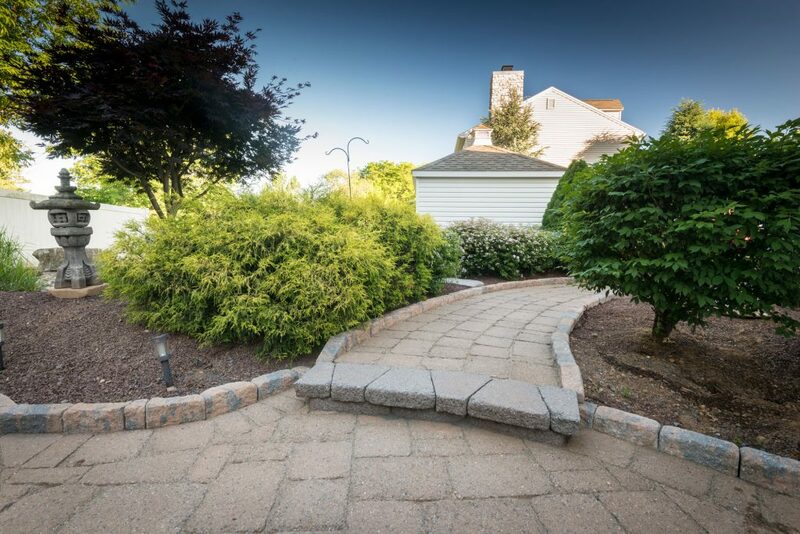 However, with older pavers where repairs are required or the jointing sand needs to be replaced, it will take several separate visits to complete the project. Perfect for new or recently installed pavers. Sealing now will protect the beauty of your investment for years. This comprehensive multi-step process completely restores & protects your pavers. We are hardscape restoration specialists. We repair uneven or sunken pavers, failing edge restraints, steps, free standing garden walls, pillars and retaining walls. Our specialists have an extensive landscape construction background and can rebuild these elements to make them safe and look like new again. The joint sand between the pavers plays a critical role in the structural integrity of the paving system. It creates an interlock between the pavers preventing them from shifting. 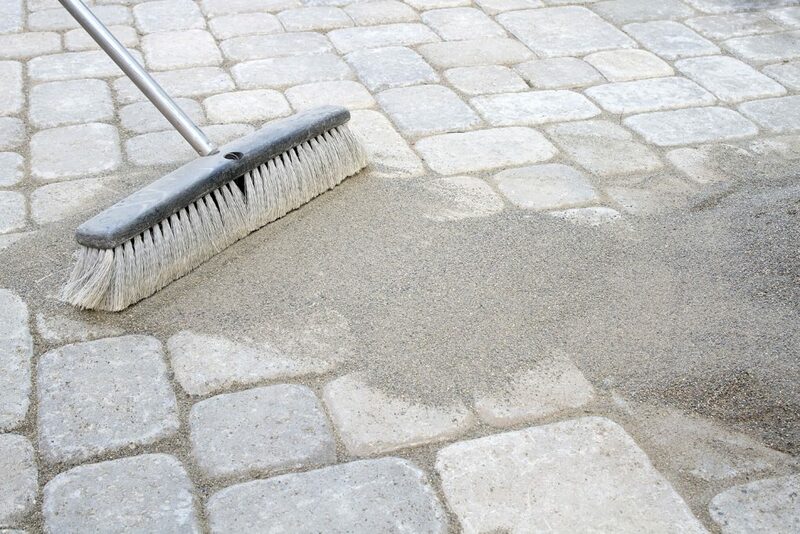 When cured properly, it hardens and eliminates loose sand on the pavers. Our technicians will thoroughly clear all the existing joint material then install new polymeric sand to your walk, patio, or driveway. Concrete pavers, brick pavers, poured concrete, and natural paving stones all need to be cleaned thoroughly before a sealer can be applied. We use specialized cleaning equipment in conjunction with our specially formulated cleaners to penetrate deep inside the surface pores releasing ground-in dirt and contaminants. The process works without damaging or discoloring the pavers. It also brightens colors and enables the sealer to better penetrate the paver. Protect your investment after restoration. Sealing is the final step. 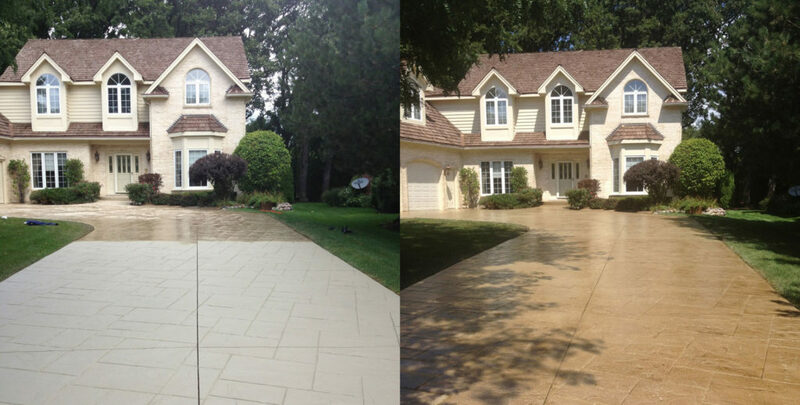 Our high-performance sealers create a long-lasting finish that will enhance the beauty of your pavers. In addition the anti-fungal stabilizers in our sealers will lock up the joint sand and deter moss. Above all you’ll enjoy peace of mind. Your pavers will be protected from fading, discoloration, stains and surface deterioration. Check out our Outdoor Enhancements as well! I consent to The Paver Savers storing my data above with the intention of contacting me with quotes or other information about their services in the future. I understand I can opt out at any time.